Xpack Industries carries a large selection of Leno/Mesh Bags, ready for immediate shipment. 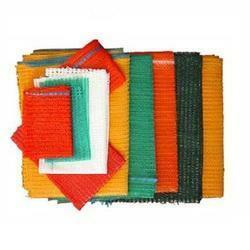 Our Mesh Bags come in many sizes & colours, & we can make customized Mesh bags upon request. 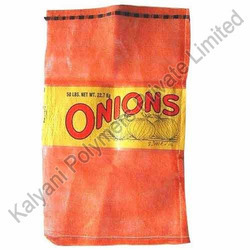 packaging solution for perishable products like potatoes, onions, garlic, coconuts, fruits & vegetables. Leno Bags are available in all sizes, colors, with/without lamination. 1. It is used to fill vegetables and fruits. United Chemicals & Industries (p) Ltd.
Key Vee Monotex Pvt. Ltd.
We are the manufacturer and exporter of Big bags, FIBC bags, Jumbo bags, PP bags, Leno bags, mesh bags, Cement bags, Concrete bags, Sand bags, Rice bags, Sugar bags. Manufactured from quality raw material, the Leno Bag offered by the company is widely used for packing potato, onion and other vegetables effectively. This exceptionally durable Leno Bag is created to render high strength while carrying the materials. In addition, these Leno Bags help in retaining the freshness of the materials stored in them.